We got word from Derek of Eddie’s Pizza Truck telling us they are doing a FREE lunch promotion tomorrow (Thursday) with LevelUp. You can get a free lunch of up to $10 in value. All you have to do is to sign up for a free account with LevelUp. The promotion is also being used to debut Eddie’s Pizza’s new loyalty program. Click through for more details on this promotion, LevelUp, and info on Eddie’s new winter menu. Derek said Eddie’s Pizza Truck is scheduled to be on Lexington Ave & 47th St on Thursday for the promotion, but check their twitter here to make sure before heading over. Eddie’s also has a new winter menu with a focus on sandwiches and specialty pizzas. Their sandwiches are on a new bread – a ciabatta roll – that is made at a small bakery in Brooklyn. The new sandwiches include Caprese, Proscuitto, Salume, Broccoli Rabe, Porchetta, Parmagiana (chicken, meatball or eggplant), and the Maker’s Mark Buffalo Chicken we had last week as a special (but with different bread). 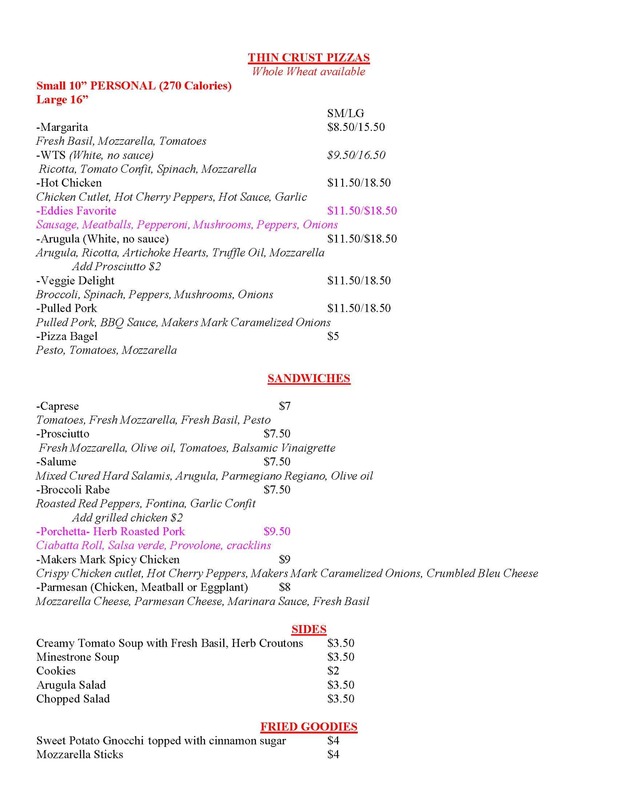 Click here to see Eddie’s Pizza’s new winter menu. It looks very interesting. As for LevelUp, they recently did free lunch promotions with Schnitzel & Things and Bian Dang that went pretty well. How LevelUp works is you register to get your own personal QR code. Use it to pay (and save) at hundreds of local businesses in town. Instant digital receipts show what you spent and how much you saved. LevelUp also maintains loyalty cards for customers online, which Eddie’s is introducing on Thursday. No need to remember to bring your frequent buyer cards to the truck anymore. All that is maintained in your LevelUp account on your phone. FREE lunch and automatic crediting of your loyalty account every time you buy lunch in the future. Now that’s a good deal.